Australia continues to have one of the highest household rates of pet ownership in the world, with over half of Aussie homes owning pets. Pet ownership is incredibly important for many families, as pets provide incomparable companionship and endless entertainment with their animal antics. Pet dander is one of the most common allergy triggers, so it may be surprising to find that pets can actually help lower the risk of developing allergies altogether. A recent study (published in the JAMA Pediatrics journal) found that exposure to dogs and farm animals in early life leads to a lower risk of developing asthma. Further research found that infants who are exposed to household pets before the age of 3 months will experience less changes in gut bacteria commonly associated with childhood allergies. These studies support the “hygiene hypothesis”, that suggests greater exposure to pathogens and allergens in early live can help strengthen human immune systems. According to the Center for Disease Control and Prevention, the companionship that pets provide can help reduce anxiety and stress among families. In fact, research shows that children with household pets are significantly less likely to report feelings of anxiety. Meantime, the American Psychological Association has found that children with pet dogs demonstrate lower levels of the stress hormone cortisol. In 2013, the American Heart Association concluded that owning a pet (more specifically a dog) can help reduce the risk of cardiovascular disease. This is likely due to the increase exercise that comes with dog ownership – and scientists also cite that dog owners have lower blood pressure, lower cholesterol, and are less likely to be obese. Pets are widely considered to be part of the family – and can actually help positively influence human relationships and social interactions. 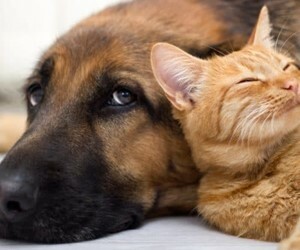 A study published by the multidisciplinary journal Anthrozoös shows that pet owners report stronger romantic relationship and overall greater quality and investment in relationships. Pets can also help improve human social skills, with pet owners reportedly more likely to be involved in community leadership roles. The increased regular exercise that comes with pet ownership also helps increase levels of serotonin, oxytocin and dopamine within the body; leading to greater mental health outcomes. 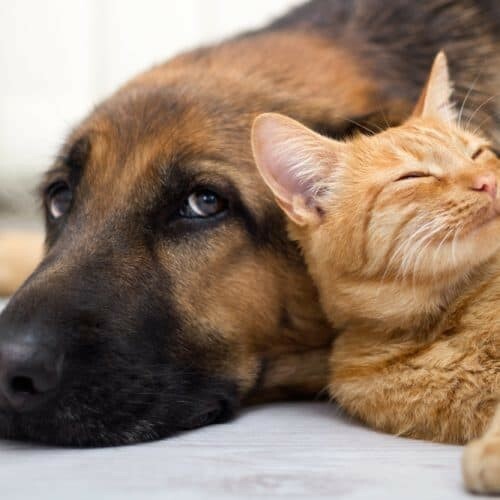 These psychological benefits are pet ownership are profound – proving that cats, dogs and other household animals really are man’s best friend.